Great Big List Of #Giveaways - Mom Knows It All. Are you holding a giveaway? Share it here! And be sure to check out my current giveaways while you’re here! Another one. Thanks and good luck. Thank you and good luck once again. Submitted Hip Mama’s Place – 2 giveaways 🙂 Good luck to everyone! Just added my giveaway, thank you! Just added my essential oils giveaway! Just added my Christmas gift set giveaway! Thanks, I hope it’ll come up soon. Thank you so much for the link up! Appreciated! I linked up! Excited to participate! Thanks so much for listing! Thanks for the giveaway listing! Thank you for the giveaway linky! Great link up – Thank you! Thanks for hosting our knitting giveaway! Thanks for this easy system for sharing giveaways! Great linky! What a great way to gather giveaway links and share the info. Thanks so much. Love the Linky to such great giveaways! Thanks so much for the linky – added mine! Thanks so much for the great giveaway linky! Thanks for hosting this link! Giveaway posted! Thanks for hosting! Greatly appreciate it. Thank you for hosting a site to post giveaways for our fabulous prizes, including personalized kids piggy banks, custom apparel, rhinestone tank tops, personalized ornaments, wedding gifts and more! We found your site on Simply Stacie. Hi there, I found a link to your site from simplystacie.net. Thanks for putting this resource together. Hiya Thanks so much for the linky. 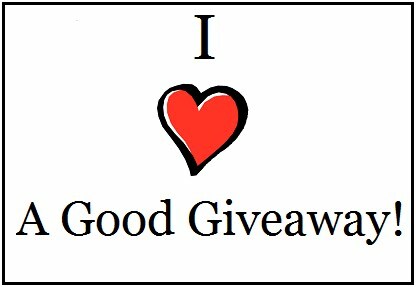 Added my giveaways and added your linky to my list of going linky’s and contest sites. You can always list your giveaways on my linky as well as many as you wish as often as you like. Thank you! It’s the last day for my giveaway. I hope you can stop by. It’s a great giveaway for a boy! Love your site and thanks for sharing my first giveaway! Thank you for you giveaway linky! Thanks for having the giveaway linky!